Here’s a little-known fact: it wasn’t long ago that, for a while, I seriously considered giving up composition and going to law school. It wasn’t because I was tired of music – far from it. It wasn’t because I was worried about a professional composer’s questionable job prospects – because as I was informed by everyone I’ve ever met, I would make a terrible lawyer. It wasn’t even because I’m super passionate about the legal system. I flirted with the idea of going to law school because I am absolutely disgusted with the state of copyright in the United States. I was reminded of this fact late last week, when the popular TV show Glee incurred the anger of thousands of people, and not just for insulting the intelligence of Americans every Thursday night. It seems that Glee took some liberties with a cover of Sir Mix-A-Lot’s Baby Got Back by independent musician Jonathan Coulton, borrowing and re-recording it for an episode’s musical number. Mr. Coulton wasn’t informed, asked permission, or compensated, even though his music was an original addition to the track. Instead, Glee said that he had no legal recourse to stop them, since it was a cover; and then, to add insult to injury, said that he should be grateful for the exposure he’d gain from the stolen material being included in an episode. Any way you look at it, this is wrong. It’s an example of an increasingly-common trend: corporate copyright holders bullying independent artists because they can more easily afford the legal battles that would bankrupt individuals. It’s disrespectful to the artist and the small-market music community, marginalizing our contribution in favor of mass entertainment. The worst thing about it, though, is this: this only happens because our derivative works copyright policy doesn’t make sense. We’ll avoid getting into the technical ins and outs of U.S. 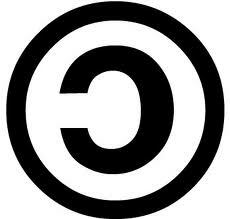 Copyright Law for the moment (although beware: that post is coming) and just present the bullet points. If you are a copyright holder in the U.S., you basically own your work, the way you might own a screwdriver: no one can use it without your permission (save for a few very specific instances), no one can claim it as their own, and your ownership of it doesn’t expire in your lifetime. In fact, you own it more than you might own a screwdriver, because your copyrighted material remains yours for 70 years after you’ve passed away. A derivative work – basically any work of art tangibly based on yours, like a musical setting of a text, a movie based on a book, etc. – can only be created with your express permission and according to terms that you set. The only exception is musical covers of existing records, which are compulsory licensed; in other words, you can’t stop anyone from covering a song you’ve already recorded, although their ownership stock is anemic and they have very little control over the use of their cover. These rules are the result of many hard-fought legal battles, mostly executed in the last 100 years and championed, not by individual artists, but by copyright-hoarding behemoths like Disney, Sony/Universal and George Gershwin’s affluent estate. Most copyright policy relevant to American musicians comes from the Copyright Act of 1976, the Sonny Bono Copyright Term Extension Act, and the Digital Millenium Copyright Act. More recently, the Stop Online Piracy Act (SOPA) and the PROTECT IP Act have been floated to combat copyright infringement (and – for what it’s worth – soundly rejected by anyone who understands the internet). These laws have all been proposed in the name of protecting intellectual property, allowing artists and writers to profit from their creations, and fostering a vibrant creative space in America. Okay – but a work of art isn’t a screwdriver. It can’t follow the same ownership rules. Like any legislation, even well-intentioned copyright policy can go too far start to stifle innovation rather than foster it. Lawrence Lessig at Harvard does a great job of tackling these issues and more in his books Remix and Free Culture (available for free as a PDF on the website!). Let’s return to Jonathan Coulton and Glee. Mr. Coulton only fell into this copyright black hole because his track, although it contains all-new music, is technically a cover. That means that Glee has no responsibility to compensate him for his music; they just have to pay the licensing fees to Universal, who owns the original song. The original work is supreme, no matter what resemblance it doesn’t bear to the derivative. As the derivative artist, Coulton’s contribution is less than important. Artistically, he’s a second-class citizen; his work is less valuable because it came second, even if it discovered something new and exciting that the original never could have done on its own. And because of that, the law says, he’s not entitled to compensation or even credit for his labor of love. Maybe it sounds ridiculous to make this impassioned speech about a song about butts – but again, this is not the first time derivative artists have encountered this sort of jackassery. There’s Pogo, who almost lost his entire output to a technicality; DJ Danger Mouse, whose earth-shattering EP The Grey Album incurred wrath from EMI despite its two primary sources being totally fine with the project; and the countless stories of composers going to war with estates over texts they want to set (usually losing). These tales are indicative of a greater attitude toward derivative works, one that stifles artists and encourages litigation. Compulsory licenses for derivative works. Pay a fee, get a license to create a new work based on the old, up to a 50/50 ratio of old and new content. Mandatory attribution. Derivative artists retain copyright on their works, with a royalty percentage of any new licenses being paid to the original artist. (Those following along might recognize these two as very similar to our existing copyright policy for musical covers and mechanical licenses). Two simple ways to reframe the derivative work so that Coulton can still make his cover, then be compensated and credited for it. Glee can still make their crappy TV show; all they have to do is pay Coulton for a compulsory license of their own. This whole debacle begs the question of what role art and artists play in the public sphere and in relation to each other. I believe, deep down, that artists are public servants; not in the sense that they must write for a large audience or a populist esthetic, but in that their contributions are to a culture that represents a community. Cultures that expect to survive – be they classical music, poetry, or painting – must allow themselves to be accessible to new generations of artists and audiences. Artists (and even corporate copyright holders) have a responsibility to allow other artists to be inspired by them. Re-imagining of existing art is an important step on the path to relevance, especially now – thanks to the internet, remix culture, and other mainstays of society, derivatives aren’t going away. I didn’t end up going to law school, obviously, but I make statements about copyright with my own art where I can. For starters, I’m always open to derivatives of my work, as I believe all artists should be. If you want the greater world to respond to your work, start by letting other artists into the conversation. Let them add to it, re-imagine it; whether you like the new direction or not is irrelevant, although you just might. Art is a conversation; other artists should be able to talk back. By the way, if you want to support Jonathan Coulton, you can buy the track in question on iTunes or at his website. One option always open to the public when a work is inappropriately lifted, is what has been happening here, shaming. Even when the accused might be able to weasel out of legal punishment, the public’s gut feeling is a second jury. (Here, Coulton might have a case, but I agree with his lack of desire to pursue it. ) So, Fox and Glee has been shamed a bunch over this. Because you can tell they lifted Coulton’s version of the song, and they especially because the Fox lawyers act so entitled when they’re on this end of a case, even when they’re so aggrieved when someone infringes on “their” stuff. Of course, despite the shaming, Fox seems to be shameless. Anyway, thanks for posting explicitly that you are open to derivative works. I like seeing artists think about that. To me, “publishing” means releasing to the public. Release implies a relaxing of control. Letting your dog go play with the others at the park, even though it’s still your dog. Letting your kid hang out with new friends even though she’s “yours. ” In the long run, that’s what’s best for the kid too.